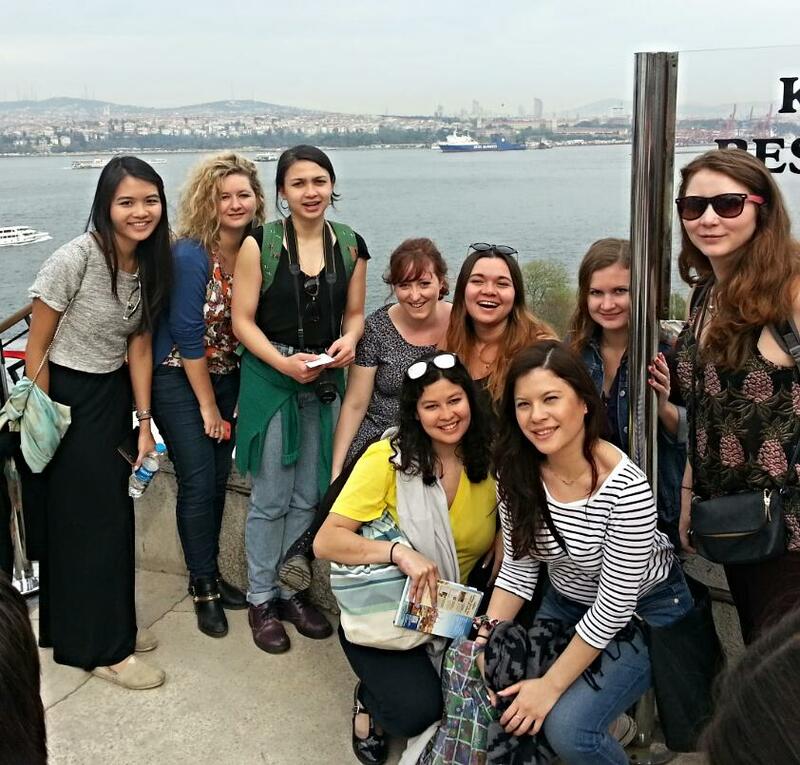 My gorgeous girlfriends and I got our back packs on flew to Istanbul in May this year for some exploring. We managed to see loads of historical sights, visit the two big bazaars and do some shopping. This post is about all the street foods I tried while I was there. Emma, Astrid, Esme and I got a ferry across from the European side, where we were staying, to the Asian side, where my friend Hannah lives, as she was having a garden party at her house that evening. As we got off the ferry onto the Asian side, we saw a couple of these Midye Dolma street vendors. Obviously we had to try them. 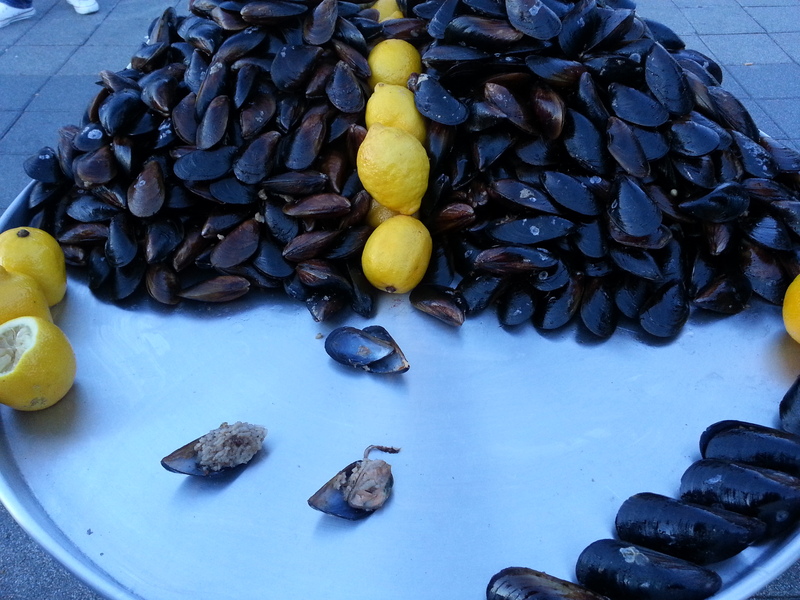 They opened up the mussel for us, scooped it all into one shell, squeezed some lemon onto it, and then it was served. They make a rice mixture and then stuff it into the mussels to cook – it tastes very much like a seafood risotto or a seafood paella. DELICIOUS! 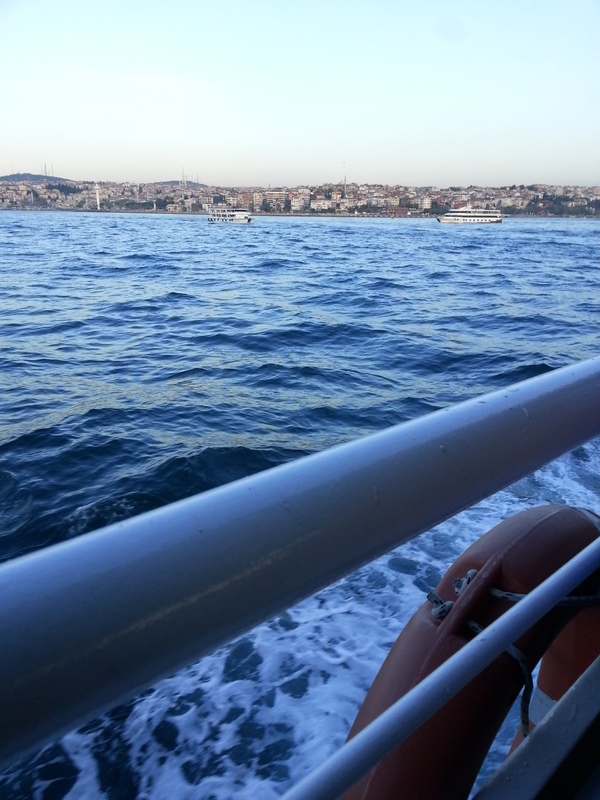 It costs 1 Turkish Lira for 2 mussels (£1 = 4 Lira at the time) and they are such a good tasty little street snack. To be honest, I wasn’t too impressed with the grilled corn that I got. It was cold and the kernels was so hard and tasted like they were probably cooked in the morning and just laid out all day. They sprinkled it with salt which didn’t melt and infuse into the corn and instead lay over it dry. I doubt I will be rushing to have one of these again, but if you are to try these I would suggest asking for a freshly cooked one. Not my favourite. 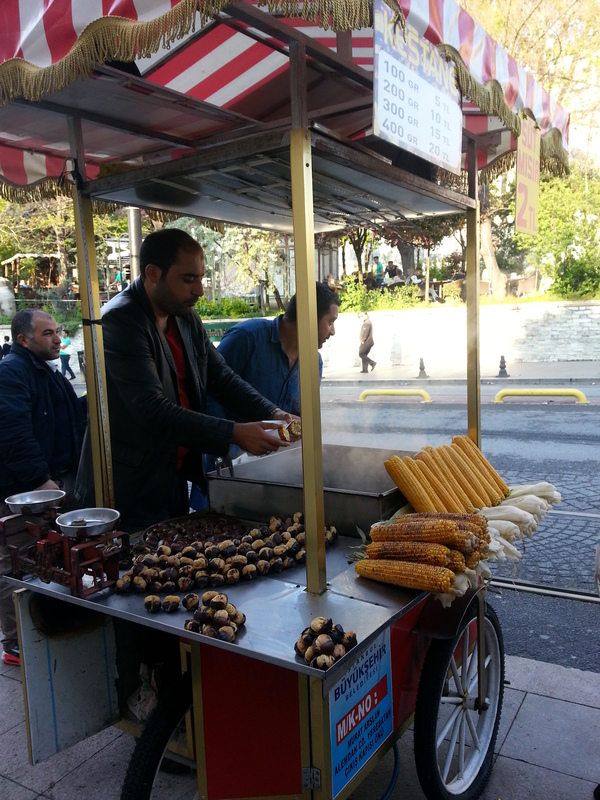 2 Liras for 1 corn. 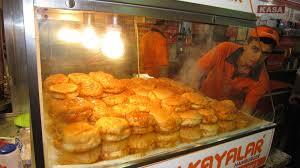 Islak Burgers (Wet Burgers in English) – Found in Taksim The Islak Burgers are found lining the streets of Taksim. You will see them in the windows of most of the shops. Emma, Astrid and I had one of these on our way home after Hannah’s garden party. It was surprisingly good. It was a bun similar to a McDonalds cheeseburger bun, with a very thin meat patty inside, but what makes it a “wet burger” is that, not only is there tomato sauce on the inside of the bun like a normal burger, but it is absolutely covered in a tomato sauce. The sauce doesn’t taste as strong with flavour as a tomato ketchup. It had a lighter taste to it. This sauce somehow gave the burger bun a chewy texture, like the texture of a bagel. A delightful midnight street snack AND it was only 2 Lira! 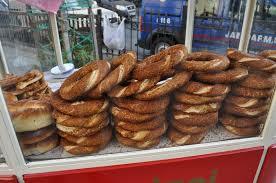 Simit (Turkish Pretzels) – Found all over the streets in Istanbul These are great if you are hungry and on the go. 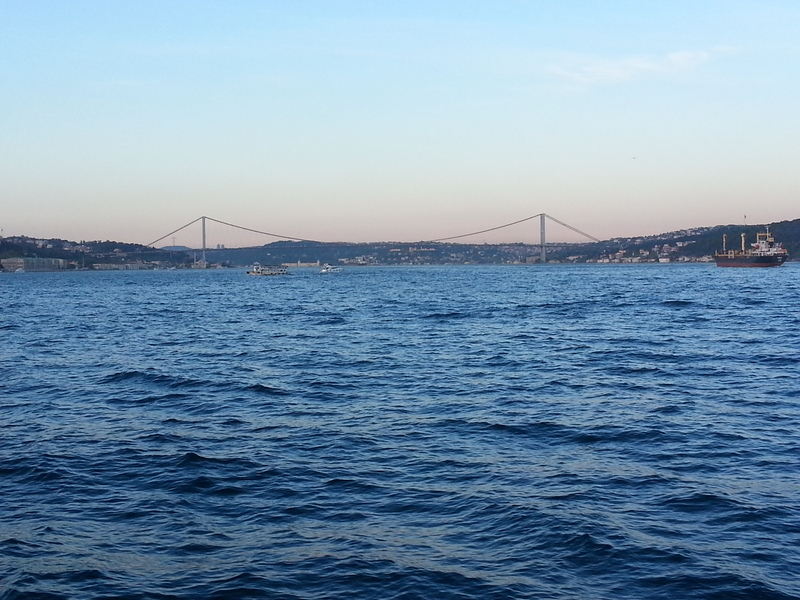 It costs 1 Lira for one. Plain chewy-bagel-type-pretzels that are sold on every street corner. Overall a fab place to visit and many interesting flavours. 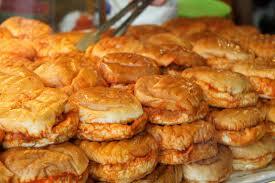 I still need to go back and try to famous fish sandwich which is also a street food.